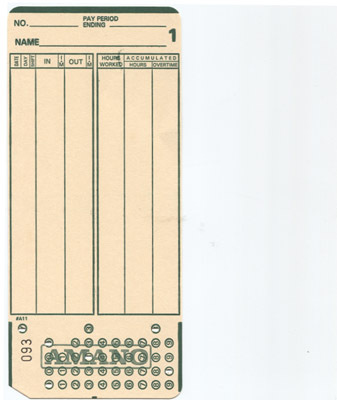 Amano MJR8000 and 8150 time cards. Card range 000 - 249, box of 2,000 Always in stock. Why higher ranges? You may have 400 employees. They would need to use two clocks. With two clocks, you have shorter lines (wasted time), and higher capacity. Each machine is limited to 250 employees. Call us if you have questions. We also repair Amano MJR time clocks.